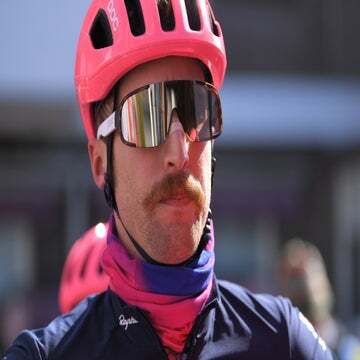 American team EF Education First won the opening stage team time trial at the Colombia 2.1 stage race Tuesday. The six-man team rode the short 14km test in Medellín in 15:07. Their effort on the flat course put Colombian hero Rigoberto Urán into the overall lead. 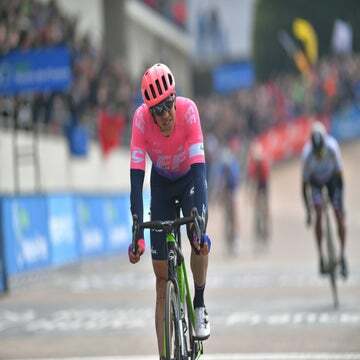 “We’re really happy to have won today and the most important thing for me is to race here at home and to be able to win with my people, with my public,” said Urán. Deceuninck-Quick-Step, the reigning world champions in the TTT discipline, rode to second, seven seconds behind. Team Sky rounded out the podium in third, nine seconds down. 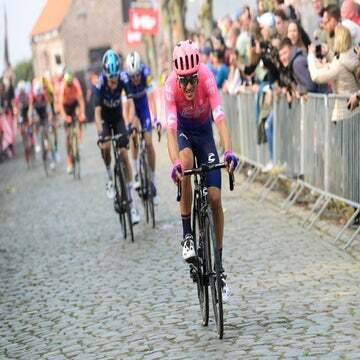 Egan Bernal, winner of the 2018 precursor to this race, Colombia Oro y Paz, finished safely with his Sky teammates, as did Chris Froome. Altitude will be an important feature of July’s Tour de France with seven climbs rising above 2,000 meters including the Col de l’Iseran, the highest paved mountain in Europe at 2,770 meters. Froome said before the race, though, that his aim was merely to “survive” with teammate Bernal perhaps a better bet to retain his title. The six-day race continues in earnest Wednesday with a four-lap circuit around La Ceja for stage 2. The 150.5km stage may favor a sprinter like Colombian Fernando Gaviria (UAE Team Emirates).